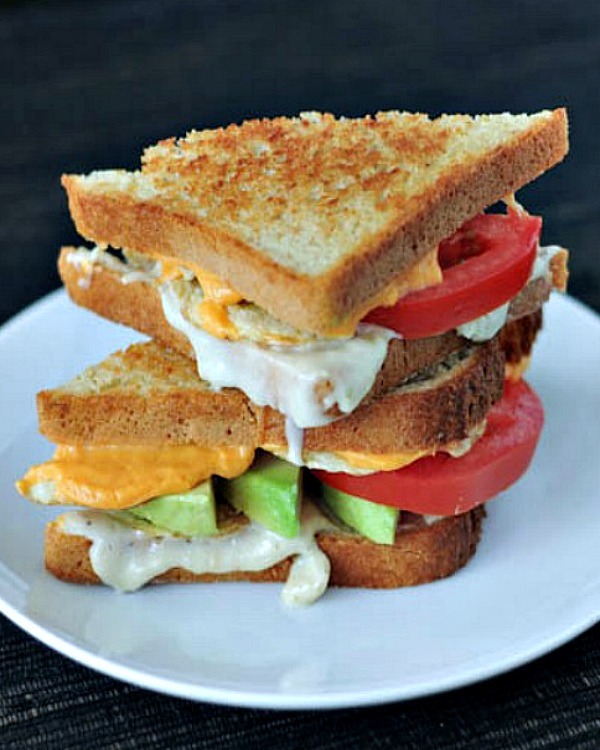 Don’t you just love a good grilled cheese? 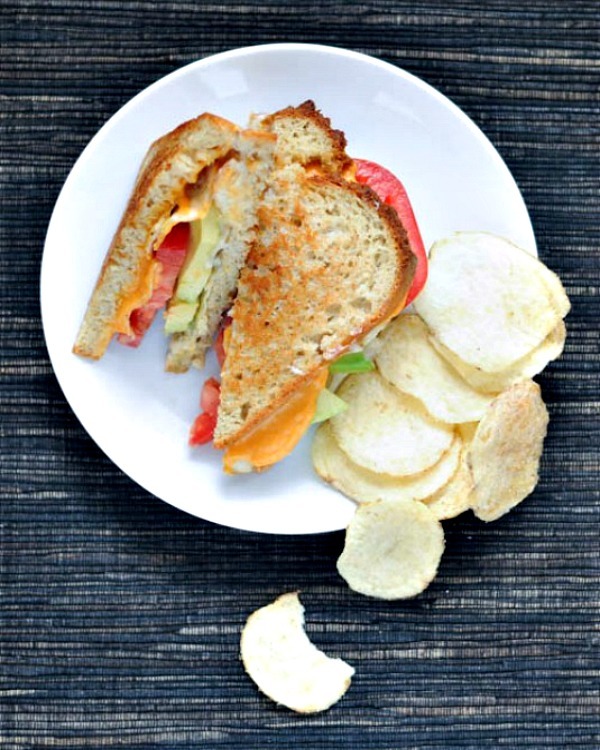 gluten free vegan Salt and Vinegar Grilled Cheese – a veggie stacked sandwich packed with potato chips for incredible layers of flavor and texture – destined to be a new favorite, for sure. You may know I have a thing for sandwiches. Like, I make one, then become obsessed with the flavors and that is all I eat for several days in a row. Sometimes for lunch and dinner. I know – you want to come over for dinner now, don’tcha? I made this salt and vinegar grilled cheese for our lunch last Saturday. Then I woke up early Sunday and made another one for breakfast.